Shane J Duhe, RICP, LUTCF, MBA | The College Funding Coach Shane J Duhe, RICP, LUTCF, MBA | Paying for college without jeopardizing your retirement! 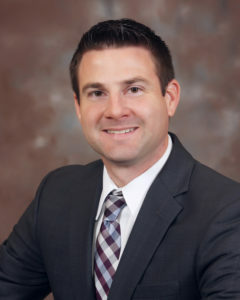 Shane Duhe is a 2003 graduate of Louisiana State University and earned a Master of Business Administration (MBA) from Southeastern Louisiana University. In 2006 he started his career as a financial advisor. His areas of expertise include retirement planning, life insurance design and college funding strategies. Shane is a Retirement Income Certified Professional (RICP®) among other industry designations. Shane is an active member of the National Association of Insurance and Financial Advisors (NAIFA). He has served in numerous leadership roles on both the state and local level and in 2018 was named Advisor of the Year in the Greater New Orleans area. In 2018, Shane joined The College Funding Coach® as an Associate. The College Funding Coach® is a national organization of advisors that teaches parents to pay for college without sacrificing their own retirement savings. Shane presents the workshop “Little Known Secrets of Paying for College” to families throughout Louisiana. In his spare time, Shane enjoys traveling, cooking and spending time with his wife Lindsay and his two sons Luke and Andrew. Shane Duhe has offices in Metairie, LaPlace and Baton Rouge, Louisiana. He can be reached by phone at (225) 241-8357 or via email at sduhe@thecollegefundingcoach.org.